The real estate market has become a very competitive one. And with the changing financial situations, it has become even less predictable. But one thing that has emerged over the past few years is the need for marketing in the real estate business. Well, we have to admit that marketing wasn’t as important two decades ago as it is now. But times have changed. More and more people have invested in real estate, which is a good thing becomes the market has become quite diverse. But the flip side is that competition is as stiff as ever. So how exactly should you go about advertising your real estate business? Your Personal Financial Mentor gives you some tips on how you should handle your marketing in the real estate market. First of all, identify your target market. It is always advisable that you create a profile for your potential client, depending on the type of houses you are dealing with as well as the neighborhood. 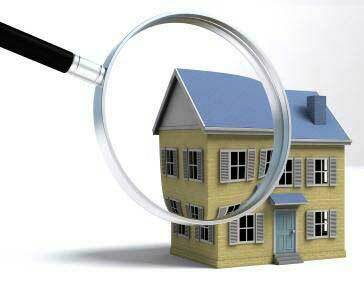 You should also keep in mind whether you are renting out or just selling. With that in mind, do a little research on where to get potential clients. This majorly depends on their income. Once you know who to go for, you can target them aggressively knowing that you stand to win them over. You should also consider using the internet. Actually, the internet is perhaps the most powerful marketing tool today, and it is the one place where you can reach more clients within a very short time. So build a website for your business, and engage in a vigorous online marketing promotion for that website. Try to build your SEO such that your website also ranks high in the major search engines. You should also have some good presence on social websites, where you are guaranteed to meet even more potential clients. One thing that is a very important marketing technique, perhaps the most important in the real estate market, is how you treat your current customers. In all honesty, it is quite easy to ignore them, even when you don’t intend to. But what you should do is enlist that as a priority. Give your current clients the best service-some discounts where you can and so on. And then make them your marketing tool. The best way is to give them some incentive so that they can lead you to the next new clients. If you give them the best deals, they will happily market your business out there, and your sales in the real estate market will grow.